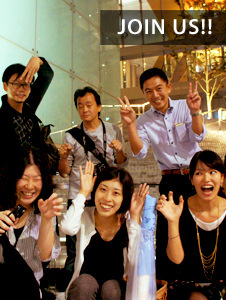 In front of the main gate to Senso-ji Shrine lies the neighborhood of Asakusa. One of Tokyo’s most popular entertainment districts, Asakusa flourished with kabuki, opera, and comic storytelling from the Meiji Era to the end of WWII. The Lighting Detectives discovered a variety of decorative streetlights and a lighting atmosphere fitting for this lively cultural destination. 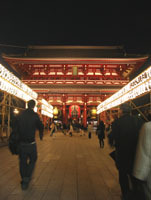 Upon entering the famous Kaminarimon, the Nakamise approach proceeds towards the shrine with bright-white, fluorescent-tube illuminated signage lining both sides. After navigating this corridor, walls of softly glowing lanterns come into view. The lanterns once lit with fire were replaced with incandescent bulbs and now fluorescent lamps. 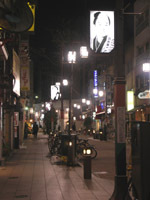 In popular neighborhoods like Shibuya or Roppongi, architectural facade lighting or neon signage fills the vertical space and “street lighting” is virtually non-existent. However, a variety of decorative streetlights festively illuminate the streets of Asakusa for a very fitting lighting environment. 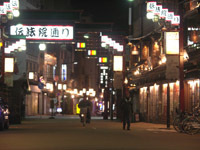 Pub signage and lanterns dispersed along the dark streets of Asakusa create an uncanny charm in this neighborhood. Roadway lux levels are a fairly dim 10-16 lx, but the red lanterns hanging from the eaves of establishments dig up affection for this old town.